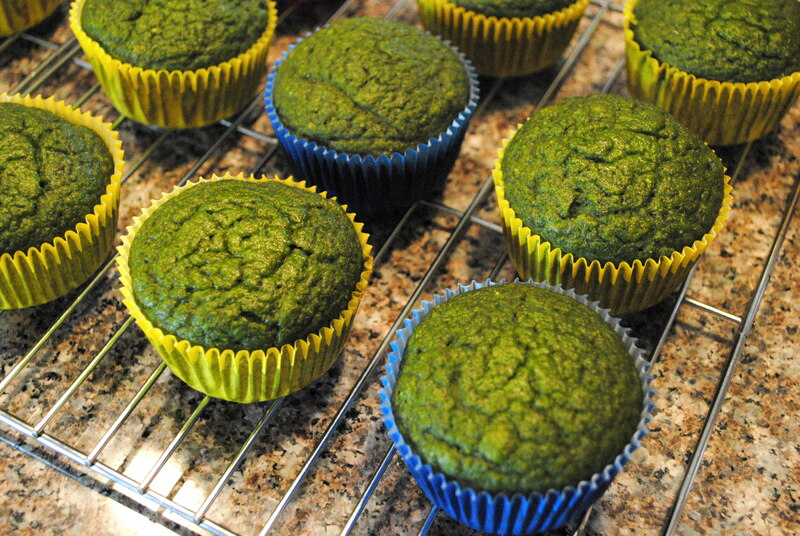 I saw a recipe on Pinterest not too long ago for Spinach Banana Muffins. 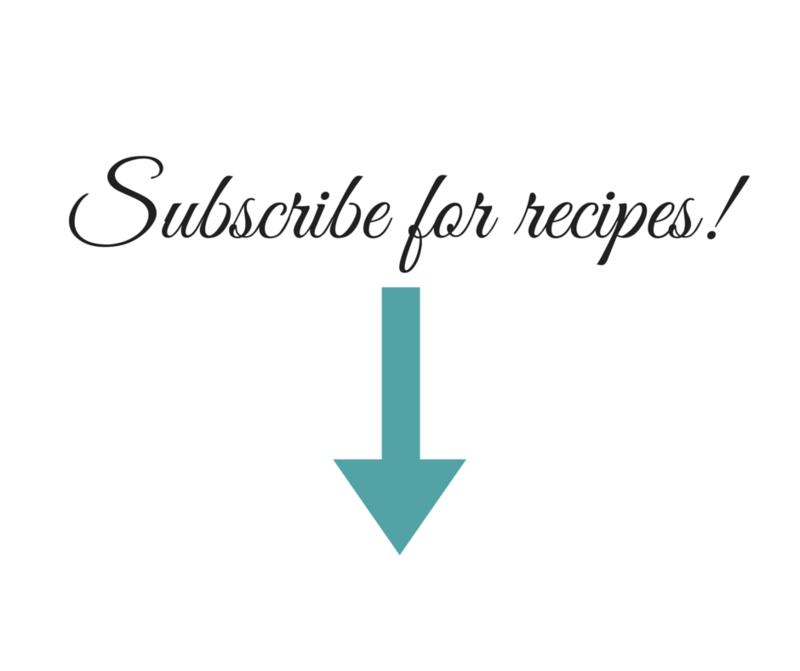 I pinned it immediately because I’m always looking for a way to sneak veggies into our two year old, Wes (pureed butternut squash in macaroni and cheese, zucchini in spaghetti sauce, spinach on pizza, carrots and broccoli in his Indian food – yes, our picky eater loves Indian food). For medical reasons (to make a long story short) we have to get Wes a lot of iron, which can be difficult to do with a picky two year old. I remembered the Spinach Banana Muffins and figured I’d give them a try. I’ve since modified the recipe, and I’ve got it perfected now! 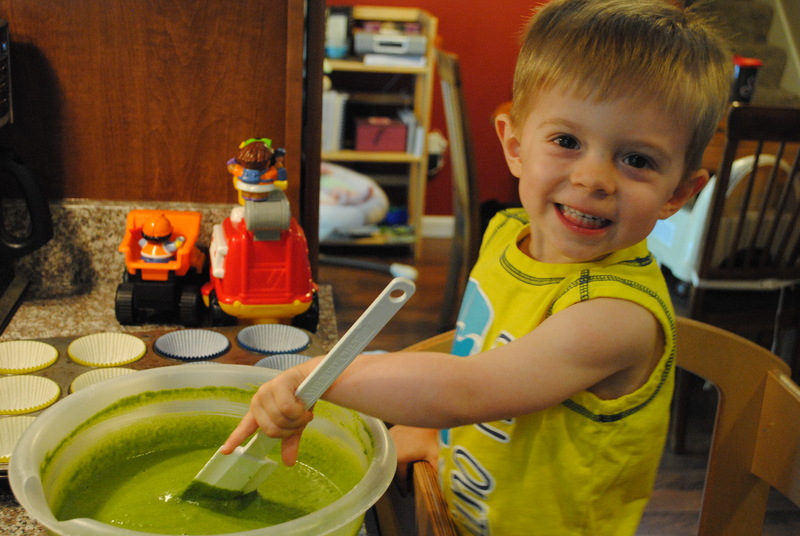 Wes likes to help me in the kitchen, so one morning when we were going particularly stir crazy, I asked him if he wanted to help me make some green cupcakes. 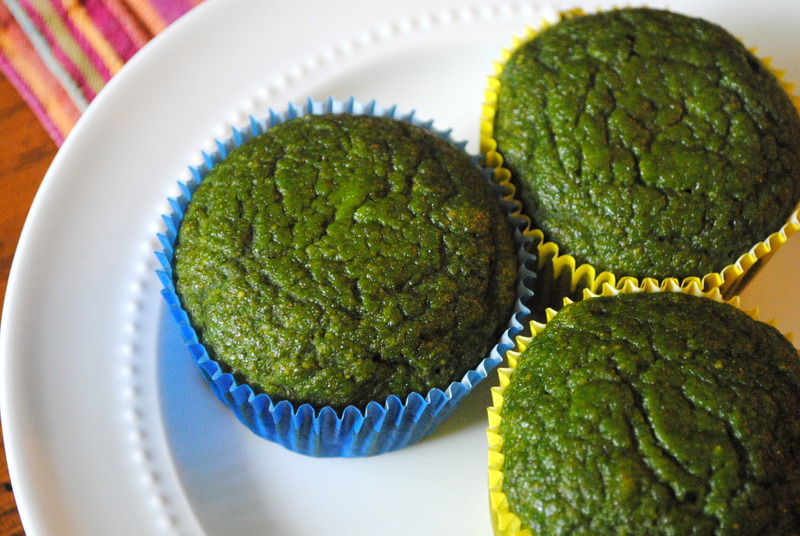 Green Cupcakes sound so much more exciting than Spinach Banana Muffins, especially to a two year old. What two year old doesn’t love cupcakes? And they’re even cooler because they’re green! He replied excitedly that he did, so we set out to the kitchen. This recipe is super easy. So easy that a two year old can do it? Well, so easy that an adult can do it while wrangling a “helpful” two year old. 😉 You throw some things into the blender (which your handy helper will turn on for you, with supervision of course), mix dry ingredients into a separate bowl (wipe up remaining dry ingredients off the floor), mix some flax seed with water, and then stir it all together. It’s. That. Easy. 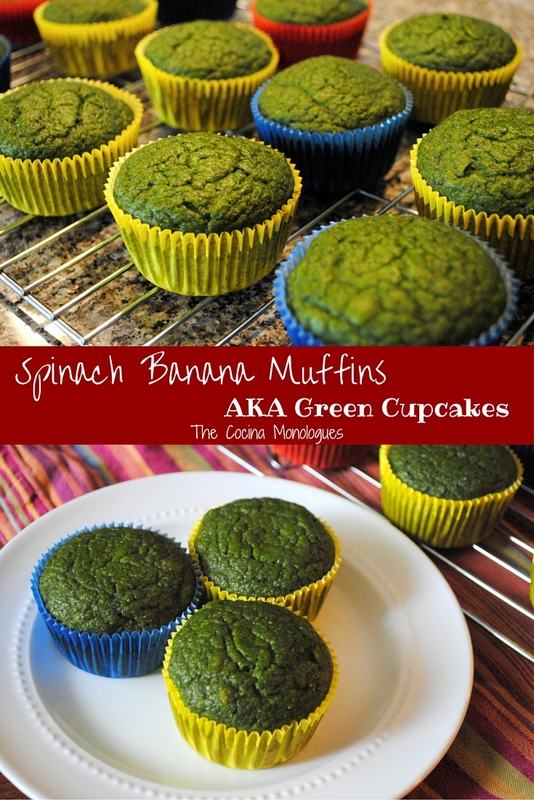 “What do Spinach Banana Muffins taste like?” you wonder. Pretty much like banana bread! Depending on the spinach and how strong it is, you may or may not even detect it. 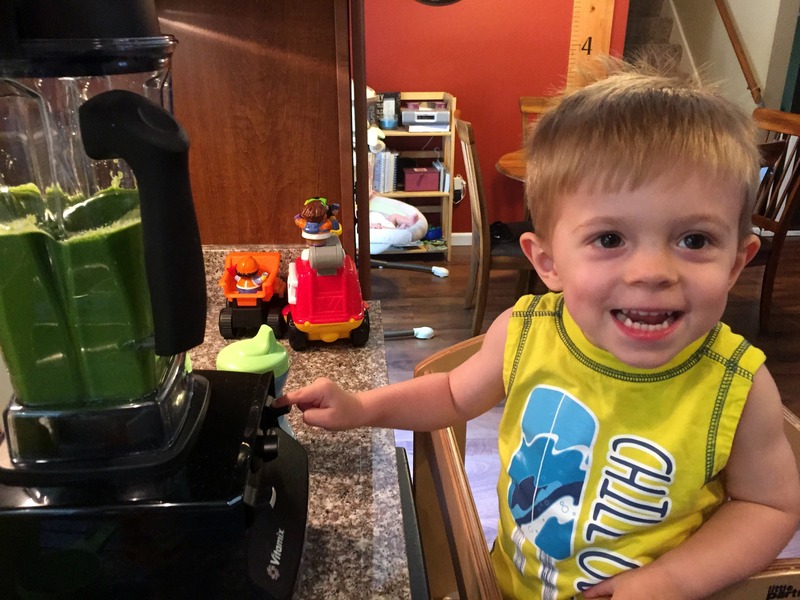 We’ve made several batches now because Wes LOVES these, and I’ve only actually tasted the spinach in one batch, not that Wes has noticed any difference. I’m only partially ashamed to tell you that one day, Wes ate three of these suckers. And that’s pretty much all he ate. Hey, I know they are good for him because we made them. 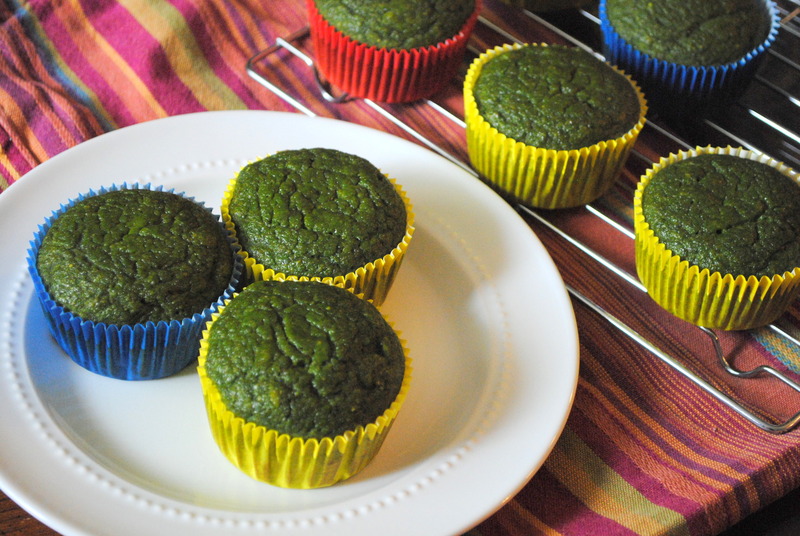 There’s no refined sugar, there’s a ton of spinach, and they’re made with whole wheat flour. So really, for a two year old, it’s not such a bad day all in all. He’s happy, and I’m happy. Not only are they tasty, Wes loves that he can be such a big part of making them and he takes pride in his baking! 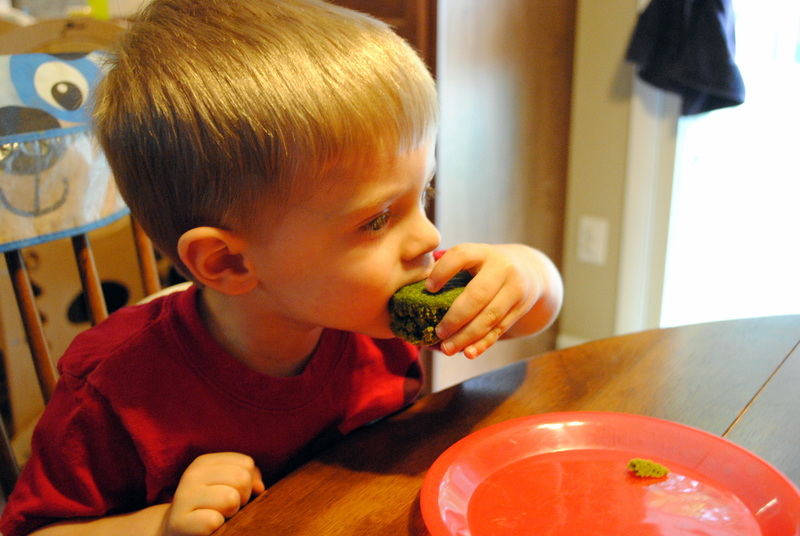 When he asks for a green cupcake, he feels he’s getting a treat, and I feel like he’s getting a healthy snack! 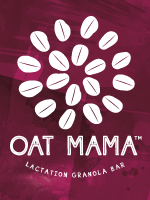 If you’re looking for a delicious and healthy snack for your kids or yourself, give these a try! Preheat the oven to 350 degrees. Prepare 12-18 muffin tins with liners. Add the oil, milk, honey, spinach, banana, and vanilla to a blender. Blend until the spinach is completely liquefied and it is smooth. Mix the flour, baking powder, baking soda, cinnamon, and salt in a large bowl. Stir with a whisk to combine. Combine the ground flax and water in a small bowl and stir until a combined. Pour the green mixture from the blender and the flax mixture into the bowl with the dry ingredients. Stir until combined. Fill muffin cups about 3/4 full. Bake about 18 minutes, or until toothpick inserted in the center comes out clean. Cool on a wire rack.